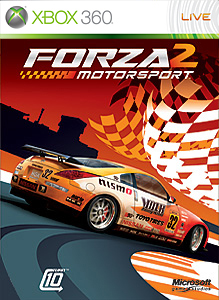 Forza Motorsport 2 is listed as a more serious racing game, with some additions to help the casual player – the brake line is mentioned in particular. It’s got a big enough reputation, but I’ve never gotten to playing the game – yeah, mostly because I’ve never had a reason to seek it out. One of the games we’re playing to expand our horizons. This game played pretty well. Unlike what we previously said about Metropolis Street Racer and Gran Turismo, the game felt beatable early on. Sure, sometimes it needed an extra try, but as this still gave some currency, it still brought you forward. And the brake line helps a lot – an indicator to show what your best line is, when to speed up or, especially, slow down. It saves time having to learn the many tracks, which is a shortcut I needed. There’s a lot of customization to go with that. Loads of cars to buy (with eligibility requirements for certain races, for example four wheel drive cars only), plenty of tweaks you can make to the cars and cosmetic changes. All of them (that change car stats) are clearly explained, which again makes the game more accessible – not necessarily easily, but there’s less guessing and hoping. Forza Motorsport 2 is a good racing game, well balanced for new players while (it seems) allowing a lot of room for experienced players to get more out of the game. I’m looking forward to the third installment!